The impostors then instructed the woman to withdraw all the money from her bank account and deposit the money in a Bitcoin account for “safe keeping,” deputies said. The victim was told two other officers would come to her home to collect her “transaction confirmation codes” and provide her with a new Social Security number. 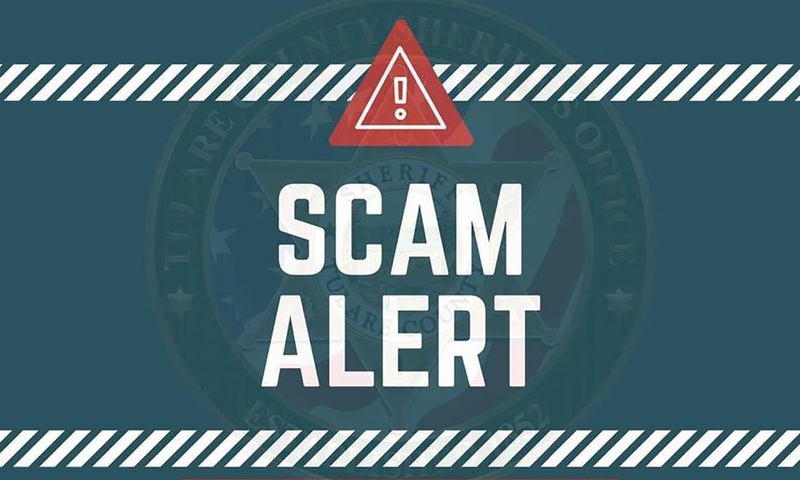 “The Tulare County Sheriff’s Office would like to remind everyone that law enforcement will never ask you to deposit any amount of funds into different types of accounts such as Bitcoin, PayPal, Green Dot, or Money Transfers in lieu of any types of services,” sheriff’s officials said. Deputies didn’t say how much money was stolen. Don’t trust caller ID: Victims fall for phone scams because they assume the number on their caller ID is the correct person. Scammers can easily spoof numbers to make it look like a certain person is calling you when in reality they are not. Don’t give out personal information: Any legitimate person or business who reaches out to you will already have your information on hand. If they don’t, or if you receive a call out of the blue asking for your personal information, just hang up. Don’t press buttons: Many robocallers will prompt you to “press 9” to be taken off their call list. This will only do the opposite and flood your phone with even more calls. Pressing a number on the keypad alerts them that they have reached an active number. Don’t answer: If you receive a phone call from a number you’re unsure of, it’s best to just let it go to voicemail. Any legitimate person or business will leave a message, but even if the scammer decides to leave you a voicemail, you will have time to think about what is being asked by them, instead of being pressured on the spot to give up your personal information.